1. 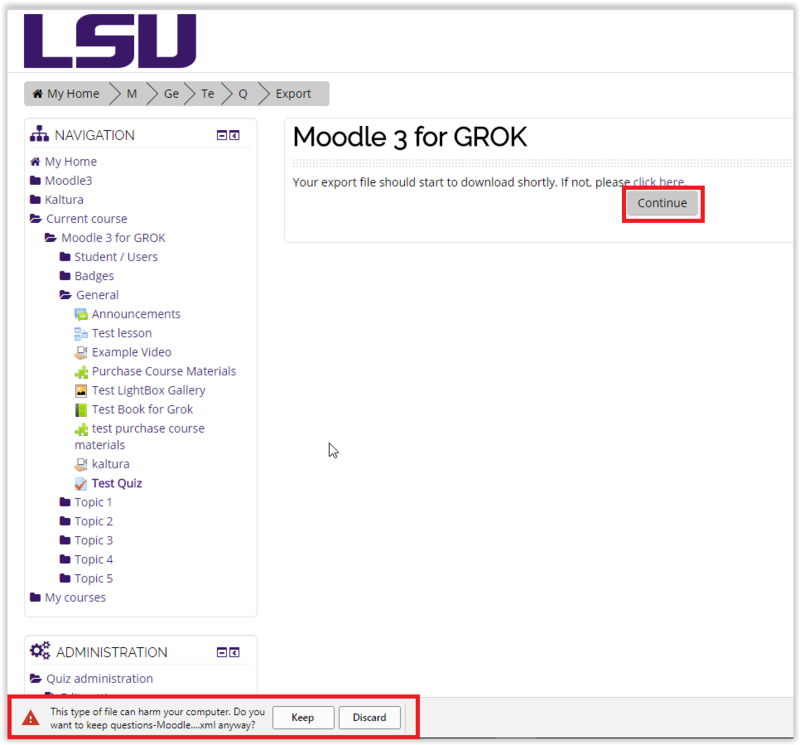 Log into Moodle3 and choose the desired course. 2. 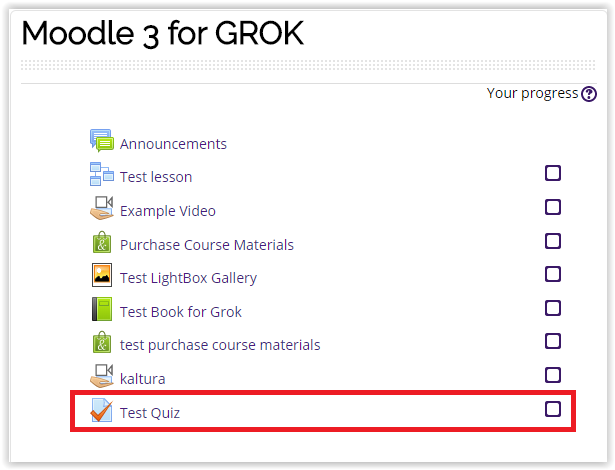 Create or go to the desired quiz/test that you wish to export questions from. 3. 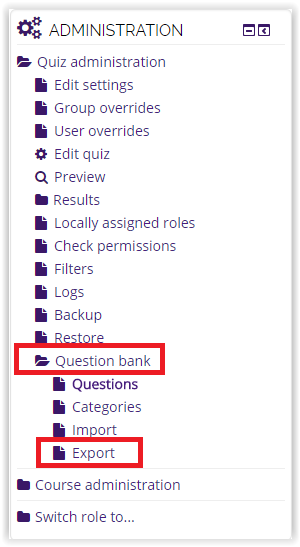 Under the Administrative Tab, found on the left hand side of the screen, click Question Bank with the folder icon. A drop down of four options will appear. Click Export. 4. The Export Questions to File page will open up. 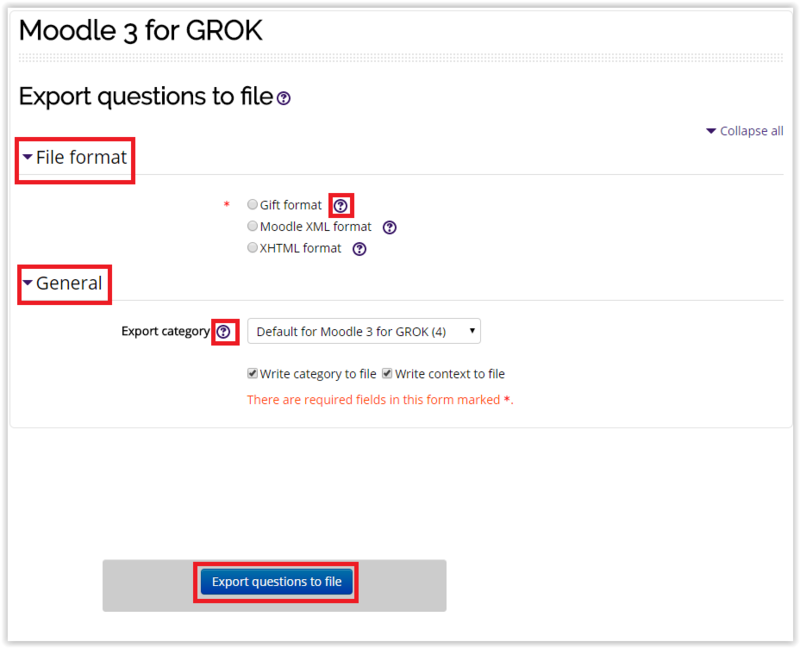 Under File format, the Gift format, Moodle XML format, and XHTML format options are available. To understand what each format does, click the "?" to the right of the option. Under General, Export Category options are available via a drop down menu. To understand what each option does, click the "?" to the right of Export Category. When you are done, click Export questions to file. 5. The export file should start to download almost immediately after clicking the Export questions to file button. It will be found in the bottom left hand corner of your browser. You may be asked to keep or discard the file. Click Keep. If the download does not come up, click the button Continue found towards the top of the browser.